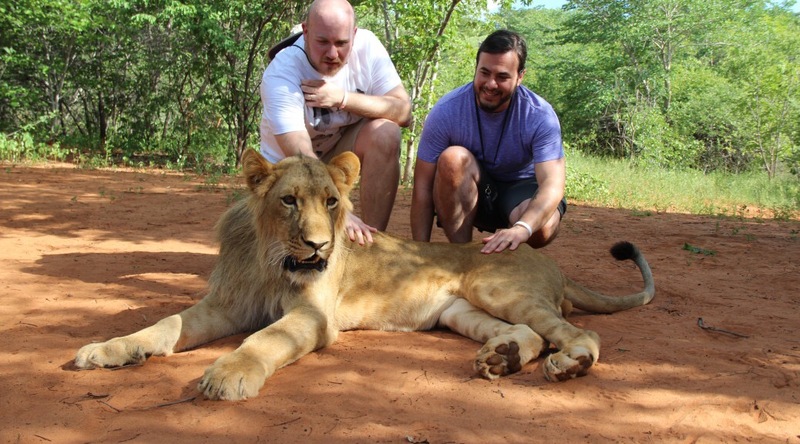 African Adventure: Overview and Booking | No Mas Coach! Africa has always been a continent that we’d been interested in visiting, and finally the opportunity arose to allow us to visit our 6th and final continent (barring Antarctica). It was a really complicated booking, and took us through 3 continents, 7 countries, 16 individual flights, and tens upon tens of thousands of miles inside airplanes, taxis, tour cars, and buses. With that said, it was all worth it, and we wouldn’t hesitate to do it again. Using our Alaska Airlines miles, we were able to snag Washington Dulles to Dubai to Johannesburg for 100,000 miles each, one way. That was for First Class on the way to Dubai and Business class on the way to Jo-Berg. We realized we had 7 days in Dubai and we wanted to take a side trip elsewhere, so we booked Abu Dhabi to Cairo in First Class using 32,500 AAdvantage Miles each. From Cairo-Luxor we paid Cash for business class; that flight was $108 each. From Luxor to Cairo to Sharjah we used our United Airlines miles for flight on Star Alliance partner EgyptAir for 30,000 each in Business Class. For the flights from Joberg to Nelspruit we paid cash at a rate of $60 one way. On the return from Nelspruit Joberg and onwards to Victoria falls we used our Chase Ultimate Rewards points, 11,000 each. From Livingstone to Joberg we used British Avios in Club World class (business) for a total of 9,000 Avios each. From Joberg to Cape Town we flew Mango at a cost of $49 each. And finally from Cape Town to Joberg we flew Mango again (booked as a south African flight) for $70 each. 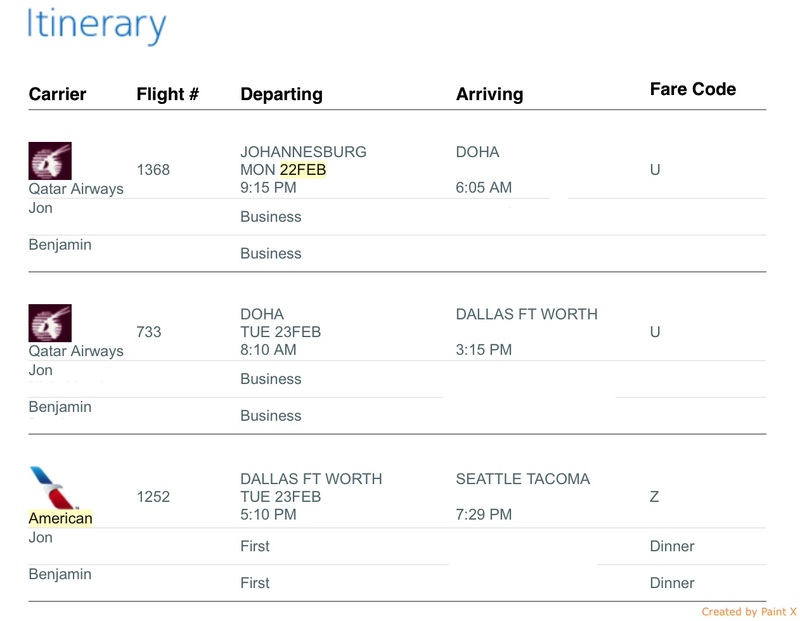 Using our American AAdvantage miles for only 75,000 each we were able to Fly Johannesburg to Doha to Dallas on Qatar Airways business class, and then Dallas to Seattle on American. Total cash out of pocket for ALL flights only $599 plus a total of 225,000 miles each. Considering that paying out of pocket would have resulted in EASILY upwards of $30,000 each, I’d consider this one hell of a deal.